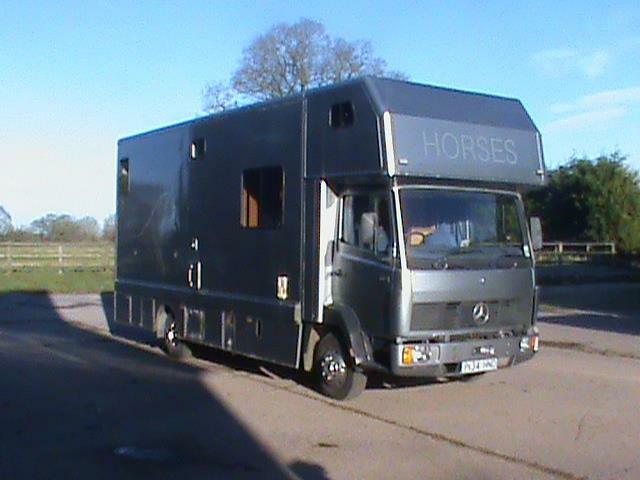 Get a quote for a small 3.5 tonne horsebox, custom built to your own specification. simply complete your contact details below & find out how much a new horsebox will cost, it may surprise you how affordable it is. 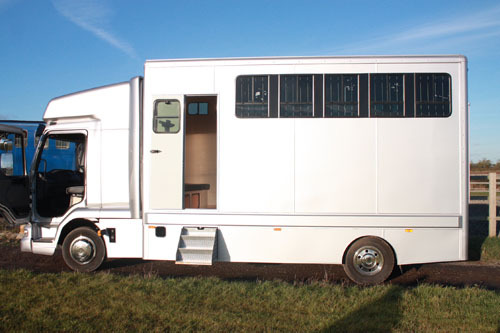 Finance options available on new build 3.5 T horseboxes. 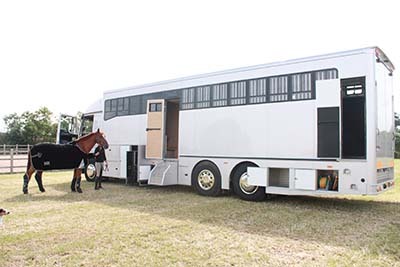 Stableexpress is here to help you find the perfect 3.5 Tonne horsebox, browse through our horsebox classifieds section for second hand 3.5 T horseboxes, or complete our simple online enquiry form and get a quote for a new build 3.5 T horse lorry built to your specific requirements. Custom Build 3.5 Tonne Horsebox, let us know what you are looking for in a horsebox and have one constructed to suit your individual needs, choose the add ons you would like, choose the colour scheme and decals and have a lorry that will last for years without breaking the bank. 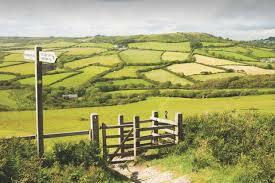 Call Freephone 0800 0029120 . Finance Options Available on new build horseboxes, spread the cost of buying a new horsebox get a quote to see what your monthly repayments may be. 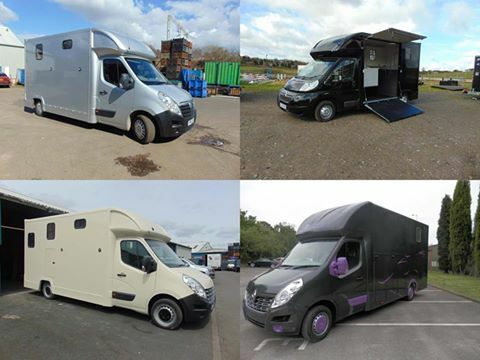 Browse through our list of new & used 3.5 tonne horseboxes for sale, if you would like to sell your horsebox on Stable Express, please email us at info@stableexpress.com. 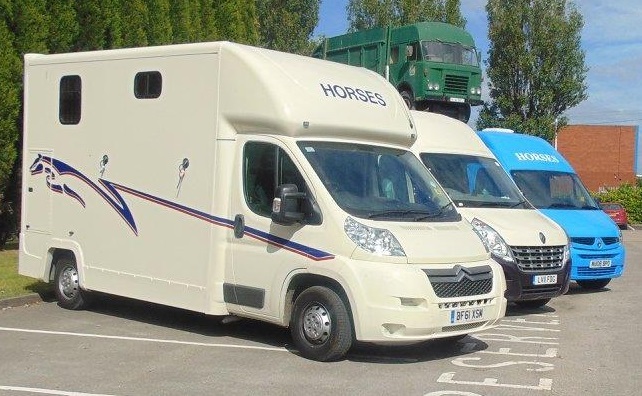 Small 3.5 T horseboxes are becoming increasingly popular, with their drivability and ability to drive on a standard driving license they are quickly becoming the choice for horse transport for young riders all around the UK. Here at Stableexpress we offer used / second hand horseboxes 3.5 tonne horseboxes for sale as well as new build three and half tonne lorries. 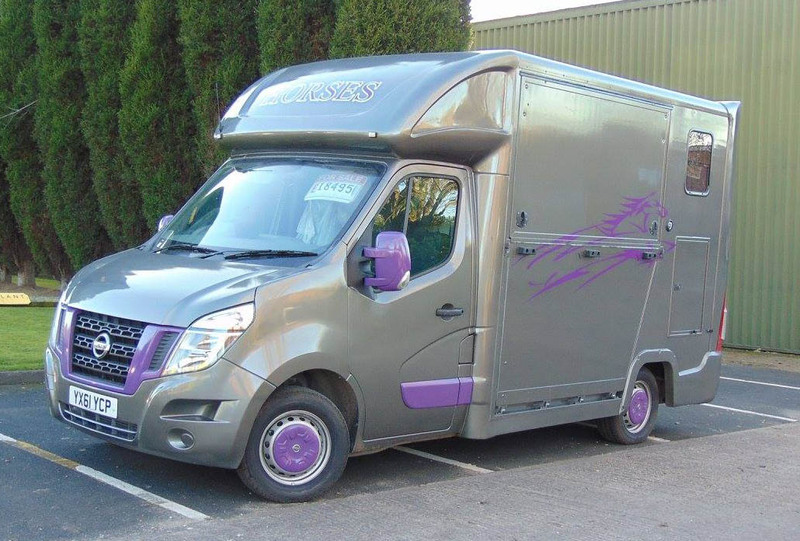 Having a custom built 3.5 tonne horsebox has many advantages, the biggest benefit is the ability to have a lorry constructed to your own personal specification, choosing the add-ons and options that you wish, you are also able to choose the paint scheme and colour as well as having your branding and livery added. 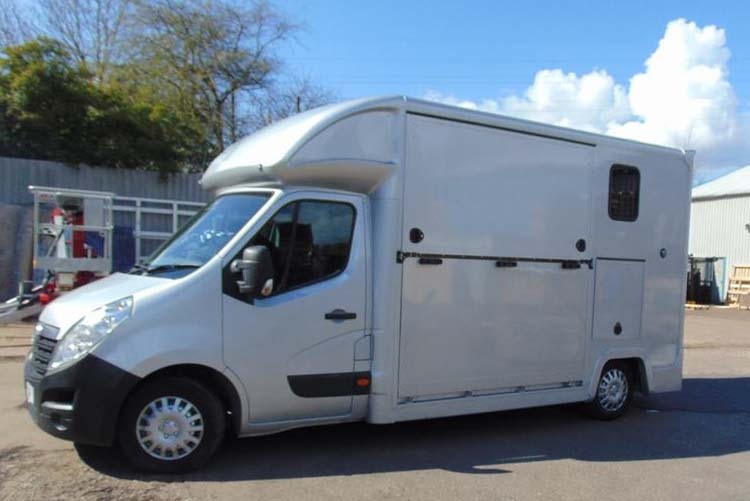 One consideration when looking at 3.5 tonne horseboxes is the weight limit, if you are carrying two bigger horses then you may need a larger seven and half tonne horsebox, stableexpress also offer these for sale new and used. 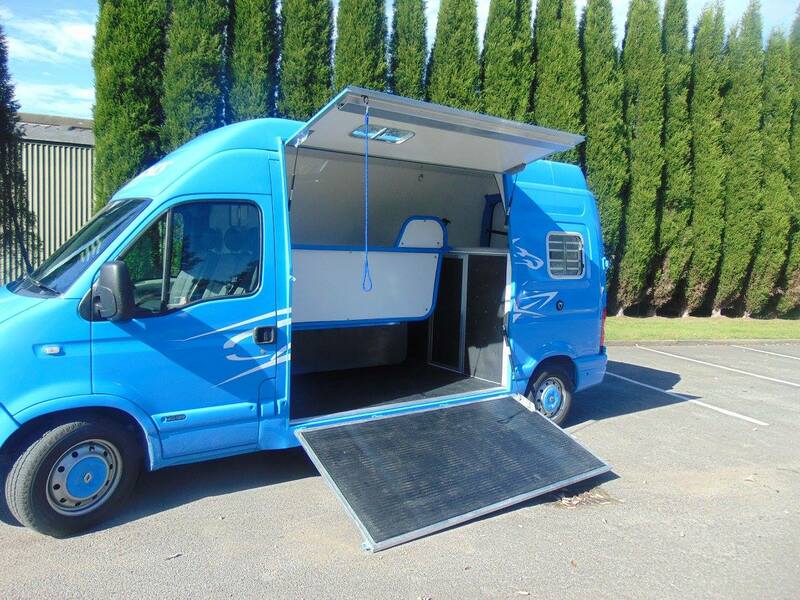 Features include reinforced grp bulkhead, Ample overhead storage, fully sealed rubber matting with drainage, lightweight gas strut assisted side ramp for easy operation, red led running lights, adjustable breast bar, 2 skylight vents, chrome wheel trims and battery isolation switch. Tack area includes led lighting, 2 bench seats, saddle and tack rack and an extra wide safety door. Special features on this model include horse area and reversing camera with 5" screen. The payload on the box is 980kg with 3 adults in cab, the box comes with weigh bridge certificate and photos. We have a selection of stock 3.5 tonne horseboxes as well as some at various stages of build which can be customised to your individual requirements. 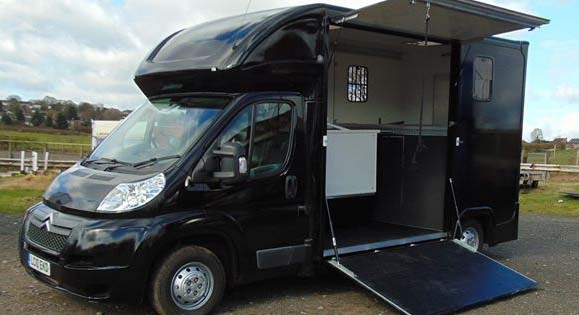 Our Horseboxes vary on colour and livery graphic options to suit your taste, lots of great features come as standard - Full sealed Rubber matting. 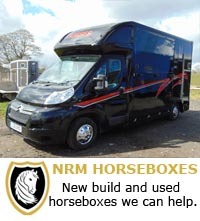 Collapsible saddle and tack racks, 4 external horse tie rings, Extra wide safety door, Adjustable partition, Gas strut assisted side ramp, Reverse and horse area viewing cameras, Fixed rear aluminium step, Led internal and side lighting, Rear tack area benches, Open Luton area storage and EVA kick boards. 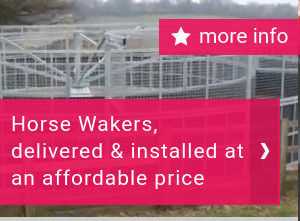 We have a vast array of optional extras which can be added to your build which include Electric or manual awnings, Hob and sink, Toilets, Horse area cooling system, Horse area/reverse, camera systems, Anti jump bars, Removable weave bars, Leather cab seats, Rear bench seat cushions, Lightweight panels, Red LED running lights, Internal and external Tack lockers, Metallic paint and more. Renault Master dci 120 lwb with 166000m with cam belt change full service and 12 months mot. These models are capable of carrying two rear facing horses up to 16 hands with a payload of 1180 kg . 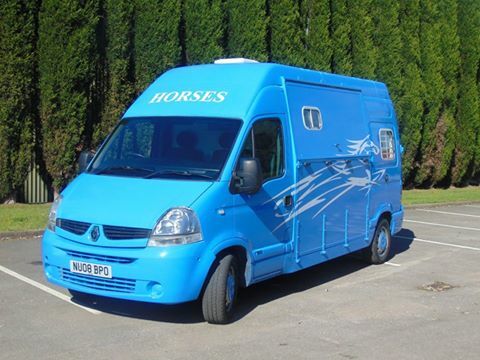 Our van conversion models offer a more compact horse transportation system with the added benefit of very economical fuel costs with mpg often exceeding 40mpg. Citroen Relay lwb 2011 with 96000 miles last serviced in February 2016 with Mot until February 2017 Call 07539 383092 These vans offer an exceptional driving experience and are very easy to drive for people not used to driving large vans in everyday life, They offer any easier transition from cars to trucks for even the most timid of drivers. 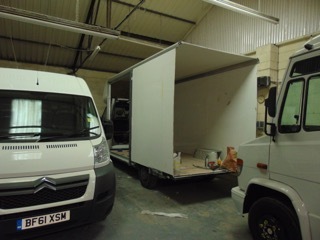 These 3.5 tonne horseboxes also benefit from very economical fuel costs as opposed to heavier options of horse transport , And can also be driven on a standard uk driving license.Our Citroen Relay lwb builds can achieve up-to 1150kg payloads on our standard construction this however can be increased slightly by using light weight panels that we offer as an optional extra via our extras page. When it comes to buying big items for your horse, you`re met with so many options and alternatives it can be hard to narrow them down. This is especially true for horseboxes. You want something practical and safe with all the features you want, but then there are other factors to weigh in as well that include additional costs and hassle as well. When it comes to buying a horsebox there are different weights to consider, and while the 7.5 tonne option may sound great because it`s got more to it, there are many benefits to the 3.5 tonne horsebox that may just sway your opinion. Once you acquire a 7.5 tonne horsebox, you need to get something called a C1 license. Regardless of money, this is a big hassle and you need to take the time to know how to manage it and pass a test in order to be certified. 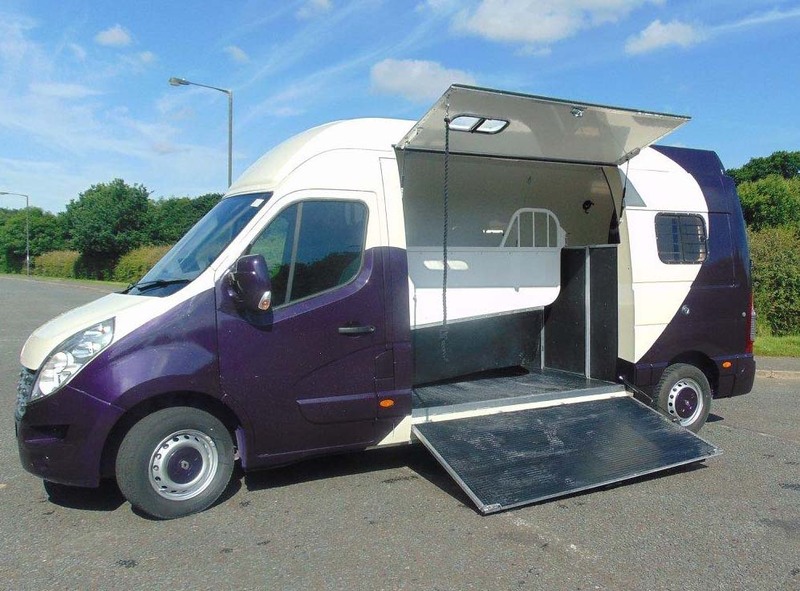 This may be worth it for you, but it`s good to keep in mind with a 3.5 tonne horsebox this is completely unnecessary so you can drive it just with the normal license you`ve already got. More often than not, a 7.5 tonne horsebox is going to require you to have a bigger car to pull the weight. With a 3.5 tonne, the normal car you drive will probably be fine. If you already have a caravan or some sort of van that can pull 7.5 tonnes that`s great, but for many of us this isn`t always a possibility and the last thing you want is to purchase your horsebox only to find out that you don`t have any meaningful way of using it. As you would think logically, the smaller horsebox with fewer features is going to cost you less. It depends what you`re looking for, but if you just need something for transporting your horse than this is the option for you. It`s much more cost-effective, in addition to the other options on this list, that generally decrease the output of money by a significant amount. Similar to the above point, a 3.5 tonne horsebox is going to be much cheaper to maintain because there are fewer parts to it and less things that could go wrong. Generally speaking, the 7.5 tonne parts can cost more as well for a similar aspect to the smaller one, so overall you`ll be paying a lot more for the bigger one.